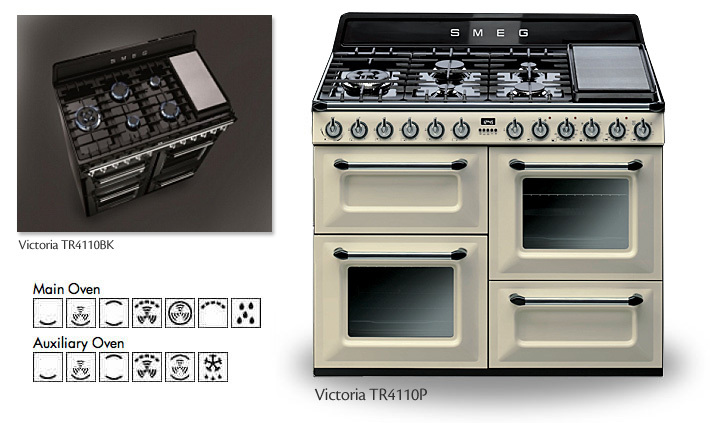 It seems that we at Rangecookers.co.uk are not the only ones to like the Smeg Victoria range, as Which? magazine has now given this highly appealing 110cm traditional cooker its seal of approval with a Best Buy status, having attained a 67% test score. 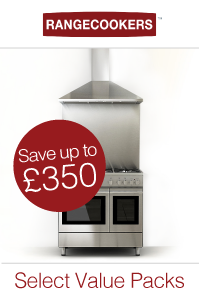 from Rangecookers.co.uk (call 01244 402975 to order), the Victoria is excellent value, offering as it does a brilliant specification and impressive build quality. With a separate grill compartment, shapely door mouldings and elegantly formed metal control knobs and handles, the Smeg Victoria is a visual treat without ever seeming pastiche, and the Smeg-branded rear upstand sets off the seven burner gas hob very nicely. As you might expect of this aspirational brand, the specification is a cut above its equivalent products from the likes of Rangemaster or Stoves. There are TWO generous and triple-glazed 68 litre multifunction ovens (A-rated) which not only give you an impressive array of oven functions but two additional grills to back up the dedicated cavity with its full-width grill tray. Telescopic oven shelves and self-cleaning oven liners are also included (as well as a Vapor Clean feature and grill roof liners), and there is a useful storage dawer. On top, the smart cast iron pan supports are accompanied by an optional Teppan Yaki style griddle plate and a standard-issue wok support, which sits over a powerful 4.2kW rapid burner. As a flagship product for a brand renowned for its range cooking heritage, the Smeg Victoria does a superb job. The build quality and general feeling of sophistication is impressive, and the Victoria definitely looks like a very good option even compared to some of its pricier competition. When it comes to cooker design the balance of traditional and modern is a hard one to pull off, but we think the Smeg design team has done a great job with the Victoria, which will look equally at home in a traditional or a modern kitchen. We are amused. Call 01244 402975 to find out more.